Next Monday, 26 of November, to 19:30 hours, will take place the final concert of the 29th Young Composers Award, summoning the SGAE Foundation and the National Broadcasting Music Center (CNDM), in the auditory 400 the Museo Nacional Centro de Arte Reina Sofía in Madrid, in the cycle SERIES 20/21 CNDM. Inés López Badalo (Badajoz, 1989) with Evanescent Latir; Gómez-Chao Hugo Porta (A Coruña, 1995) with Limits black; Roman Gonzalez Escalera (Real city, 1987) with Volatile Espejismo Y José Luis Valdivia Arias (Granada, 1994) with Gouache are the four finalists of this edition which gives a total of 11.700 euros. Free entrance until full capacity, he Extreme Sound Ensemble, under the direction of George French, will release the compositions finishers. 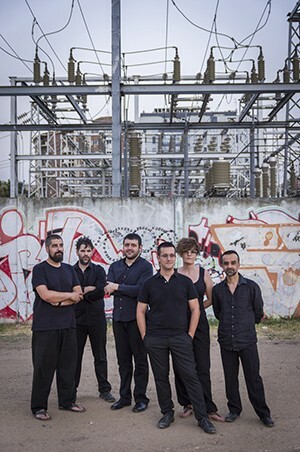 At the end of the concert, integrated by composers jury Alicia Diaz de la Fuente, Juan José Eslava Cabanellas, James Gaspar Grandal, José Miguel Fayos Jordán and Diana Pérez Custodio issued the ruling. A total of 23 works have been presented in competition at this year 2018. The four authors of less than 35 years will compete for the following awards: he First prize "Xavier Montsalvatge" of 6.000 €; he second prize "Carmelo Alonso Bernaola" of 3.000 €; he "Francisco Guerrero Marin" third prize 1.500 € and the honorable mention "Juan Crisostomo Arriaga", endowed with 1.200 €. further, and as in every edition, SGAE Foundation will release a promotional album which will bring together the four winning works of the contest, in order to contribute to its further promotion and dissemination. These four awards the new "Special Award JM Spain" adds, which granted Jeunesses Musicales of Spain. In this way, First Prize winner of this edition will become Resident Composer Music Network of JM Spain during the season 2019-2020. JM Spain will arrange three plays chamber music and award 1.000 euros for each piece. The composer will choose three young soloists or groups selected Music Network that premiered by and construed in all recitals in this circuit give more organized 200 concerts a year. The Young Composers Award was created in 1987 to stimulate creation in the field of contemporary classical music among young creators up 35 years, with the aim of contributing to social development and understanding of new languages, trends and modes of musical expression. Among the winners of its twenty editions include already established names in the panorama of the current composition, with international careers that show the good health of the Spanish musical creation: Charles Augustine, Mauricio Sotelo, José María Sánchez-Verdú, Jesús Rueda, Jesus Torres, Pilar Jurado, Gabriel Erkoreka, Ramon Humet, Juan Cruz Guevara, Jesus Navarro, Oliver Rappoport or Nuria Núñez, among many others, They have been involved in this indispensable appointment in the section of the ensemble composition nationally. He studied guitar and composition at the Conservatory of Music of Badajoz and the Higher School of Music in Lisbon (ESML). He has attended classes composers like Luis Tinoco, Franck Yeznikian, Christopher Bochmann and José Manuel López López and guitarists like Carles Trepat, Evaristo Valentine, Antonio Jorge Gonçalves and Alvaro Pierri. He has won various competitions among which the highlights International Composition Competition "Manuel de Falla" (2016), Francisco Guerrero Marin Award - Young Composers of the SGAE / CNDM Foundation (2017), Composition Prize Portuguese Society of Authors / Antenna 2 (2017), FIDAPA Prize International Composition Competition City of Udine (2018) and Call for Young Composers Ensemble Plural (2018). His compositions have been premiered by the Gulbenkian Orchestra, trio Arriaga, Extreme Sound Ensemble, Youth Orchestra of Extremadura, Kuraia together, Ensemble vocal Suns-All, among others, and performed in Spain, Portugal, Croatia, United Kingdom, Brazil, Germany and France. He studied the Higher Grade Composition with David del Puerto Jimeno in Madrid, finishing his studies with the highest marks. Kunstuniversität currently enrolled in the Master of Graz composition, Beat Furrer as a student of Clemens and Gadenstätter. It has been awarded a scholarship by the Provincial Council with the "artistic improvement grants" during the courses 2017-2018 Y 2018-2019. He has been taught by composers such as Friedrich Haas, Sergio Luque, Jesús Rueda and Bernhard Lang. He has been commissioned and premiered works by entities such as SGAE Foundation, Spanish Association of Orchestras (AEOS), Symphony Orchestra of Galicia, Tres Cantos Festival of Contemporary Music, the pharmaco, Museum of Fine Arts in A Coruña, Provincial Museum of Pontevedra, among other. It is one of the founding members of RESIS Contemporary Music Festival A Coruña, which he is currently artistic director. Degree in composition studies in Córdoba with Francisco Martín Quintero and Juan de Dios García. Later he studied a Masters degree in instrumental composition with Alberto Posadas and Aureliano Cattaneo. Get the advice of great composers like Pierluigi Billone, Beat Furrer, José Luis Torah, Chaya Czernowin, Voro Garcia, César Camarero and Hector Parra among others. His works have been interpreted by much of the Spanish geography, France and Italy for groups like the Symphony Orchestra of Castilla y León, Orquesta de Córdoba, Nou together, Zenit set 2000, OnOff ... the ensemble as soloists Lorelei Dowling Christian Dierstein. He currently teaches harmonic-contrapuntal technique in the Conservatory of Castilla-La Mancha. Jose Luis Valdivia Arias graduated with honors in classical contemporary composition at TAI School (Madrid), having as teachers Rodrigo Faina and José Javier Peña Aguayo. He is currently studying composition at Codarts Master (Rotterdam) with Robin Raaff composer and electroacoustic composition with composer René Uijlenhoet. At the same time, composition classes from Peter-Jan Wagemans, with whom he instructed and works. His approach is interdisciplinary musician; It encompasses a number of art forms, visual, literary and musical works that explore a dialogue between image, continuity and time. These forms are derived from a number of perspectives on the idea of ​​"narrative" using a variety of approaches to reveal the common perceptions of musical creativity.